It is time for Committee Sign-Up Ladies! This is our annual sign-up meeting and the perfect way to get more involved in Newcomers for the coming year. 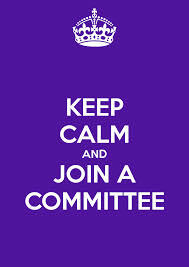 Joining a committee is also a wonderful way to get to know more great women in the club. We will give a brief overview of the committees for the coming year, answer any questions and then open the meeting for sign-up. You do not have to be present to join a committee but we will raffle off 2 gift cards to Uptown Girlz for those that come and join in the fun! Wine, beer and appetizers provided and endless shopping! Uptown Girlz is giving us 20% off regular priced items for this meeting. If you would like to join a committee but can't make the meeting, then please have a friend sign you up or email Shea Mausser green.shea@gmail.com with your request. For committees that have an overflow of sign ups- we will enter all names in a random draw to determine the final committee members.